David is a serial entrepreneur in the private equity and venture capital sectors. He has been in Chief Executive and board roles since 1983. David has been awarded a Ph.D in Law from Bond University entitled ‘Systemic and Cyclical Failure in the Australian Financial Products and Financial Services Sectors: Have weaknesses in corporate law contributed to these failures? His PhD has been publicly recognised by the Australian Financial Review (AFR Chanticleer 16th January 2019) and other media. He presently acts as a board strategy consultant and has written two chapters in the textbook for Bond University’s start-up law course. David is an Honorary Adjunct Senior Research Fellow within the faculty of law and is continuing legal scholarship in financial services and products regulation in Australia and other countries. His research interests include the application of cognitive artificial intelligence (AI) in legal analysis. He is experienced at director level in several countries including Australia, Singapore and Germany with 30 years of practical experience in building and managing international companies. He obtained honours in a Zoology/Geology double degree (B.Sc. Hons. 2(i)) from the University of Reading, and completed the tuition component of a M.Sc. (Oceanography) at the University of Southampton. He also holds an M.B.A and LL.M from Bond University. He was awarded the FW Humberstone Prize for Character and Scholarship, amongst other prizes, from a prestigious English public school. He was the Foundation Chief Executive of UniQuest Limited, the leading university technology transfer company in the Asia Pacific (1983-1988), the Founder of Corporation Builders (1991-2010), and of MillhouseIAG Limited (1991-2010) and Millhouse, Inc. PLC. He was formerly a trustee of Bond University Endowment Fund and trustee of the Queensland Art Gallery/Gallery of Modern Art. He is a member of the Brisbane Business Forum,drawn from the highest echelons of the Queensland business community. These achievements were recognised in 1988 when UniQuest was able to host the 3rd Symposium on Technical Innovation and Entrepreneurship to coincide with World Expo 88 in Brisbane, Australia. The earlier symposia were held in Salt Lake City and Birmingham, UK. The partners included the Utah Innovation Foundation, IC2 Institute from Austin, Texas, and the Stanford Research Institute. It was these linkages that alerted David to what was happening in Silicon Valley, Boston, Oxford, and, poignantly, Germany and Berlin. UniQuest today has generated $15.5 billion in end use sales of its licensed technologies and holds greater equity in its start-ups than its rivals at the Group of Eight universities combined. The 1986 and 1987 UniQuest Annual Reports made reference to: ‘…the signal contribution made by (David Millhouse’. His most poignant and valuable recognition though, was a hand written and signed letter from the whole board of directors of UniQuest ‘To David with our thanks for the remarkable job of creating UniQuest from an idea; and with best wishes for your future career’. Public recognition of David Millhouse was continuous. There were many articles in the Brisbane Courier Mail and the Australian Financial Review as well as government publications. It resulted in his being a finalist in The Bulletin-Compaq Young Executive of the Year Award in the presence of the Australian Prime Minister in 1988. At UniQuest’s Silver Celebration in 2010, University of Queensland Campus News reported that ‘Sales of products based in UQ technology and licensed by UniQuest are now running at A$5.24 billion per year’. His publications from this period include: ‘Technical Entrepreneurship – the link between science and technology and the marketplace”; “Leadership in Innovation – Exploiting the Global Market’ and many others. David has taught short courses in international finance and venture capital at the American Graduate School of International Management in Phoenix,United States. He has also taught and mentored over 1,000 companies in capitalisation planning, finance, and business strategy as part of the Corporation Builders programs in all parts of Australia, New Zealand,Singapore, and Germany. Bond University was to be funded by Bond Corporation and EIE Corporation of Japan. David applied his knowledge of universities to advise the Business and Law Schools. He also worked with IC2 Institute in Austin, Texas to enable Bond MBA Students to compete in their Moot Corp Business Planning competition. Bond University was able to attract some of the best Australian expatriate academics back to Australia. These included Dr Doug McTaggart who subsequently was the Chief Executive of the Queensland Investment Corporation, and Dr Jeffrey Carmichael, who went on to become the first Chair of the Australian Prudential Regulatory Authority. David founded MillhouseIAG Limited in 1991 designed to create and build emerging growth companies which did not otherwise exist. 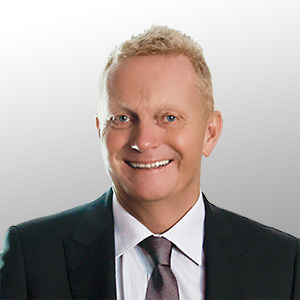 In 1994, he founded Corporation Builders with the assistance of the Queensland Government Treasury and a series of private sector sponsors. Corporation Builders was designed to identify companies that needed venture capital for growth and to assist them in raising that capital. Ultimately, with the financial assistance of every Australian State Government and the Australian Federal Government, Corporation Builders operated in every Australian State and Territory. Subsequently, with the assistance of the Singapore Government(Economic Development Board) and the New Zealand Government, Corporation Builders was exported to those countries and operated with the support of private sector sponsors. Many members of the Australian Venture Capital Association and the Singapore Private Equity and Venture Capital Association participated. With financial support of the Queensland Government in 1996, enterprise angels was conceived,funded, staffed, and operated for some years in Brisbane and regional Queensland. Corporation Builders was also extended to Berlin. This was the period when post-unification Germany could finally achieve in technical innovation and venture capital what had occurred in the United States, and partly under David’s leadership, in Australia and elsewhere. He built relations with the KfW (Kreditanstalt fur Wiederaufbau – the original Marshall Plan institution), and the IKB (Industrie Kredit Bank) in particular. The Berlin Senate sponsored an Asia Pacific Week each year in which he participated. A more detailed description can be found in “Ventured and Gained” (Business Acumen Magazine) at www.millhouse.co. Funds managers are rightly expected to be benchmarked against their peers. The Millhouse managed private equity funds were benchmarked voluntarily against their peers from audited accounts by the Private Equity Performance Monitor in London. This was done quarterly by fundvintage (year of foundation) and were consistently first quartile performers. For instance, at 30th June 2009, according to the Performance Monitor, the MillhouseIAG Private Equity Trusts ranked 64/274 on a net IRR basis and 2/274 on a return multiple basis for all reporting private equity and venture funds worldwide. Benchmarked against other reporting venture funds only, the results were 7/70 on a net IRR basis and 2/70 on a return multiple basis. These reported benchmarks were consistent over several years and published by the Private Equity Performance Monitor. The Australian Financial Review (25th February 2009) published a comparison of “Top Performing” funds. In the private equity asset class, the MillhouseIAG Private Equity Fund was reported as having a 1 year return of 23.07% and a 3 year return of 15.72% p.a. By 2009, MillhouseIAG was well established as a fund manager and had by that time, also acquired the Huntley Group, based in Sydney. Huntley is a Responsible Entity, Trustee and Custodial business, across a number of asset classes. Institutional investment grade quality of MillhouseIAG was recognised by Ascalon Capital Managers (owned by Westpac Bank) when it made an equity investment into MillhouseIAG and took a seat on its board of directors. In 2009, the Queensland Government, Australia presented David Millhouse with an award ‘The Queensland Government recognises David Millhouse as a vital partner in building Queensland’s growth and prosperity’. That is the entrepreneurial skill. It is a skill that depends on a huge amount of intestinal fortitude and energy. A skill that defies defeat, creates success, and impassions others to follow. A skill that stares down barriers. Above all, a skill that can only prosper in an environment of absolute trust, integrity, and common purpose. David is a serial entrepreneur in the private equity and venture capital sectors. He has been in Chief Executive and board roles since 1983. David has been awarded a Ph.D in Law from Bond University entitled ‘Systemic and Cyclical Failure in the Australian Financial Products and Financial Services Sectors: Have weaknesses in corporate law contributed to these failures? His PhD has been publicly recognised by the Australian Financial Review (AFR Chanticleer 16th January 2019) and other media.